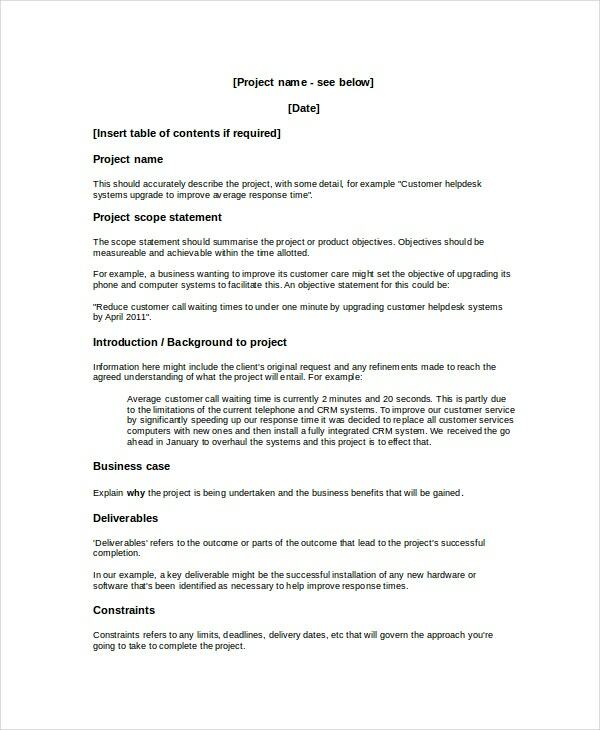 A project overview template enables the putting together of all the details of a project in a single sheet to aid better project management. This project template gives an overview of the identified problem, the steps to be employed to resolve it, and the result expected. It includes comprehensive information including the schedules, the budget, the resources, the status, and many more. A few project overview templates are given below for you to choose from. 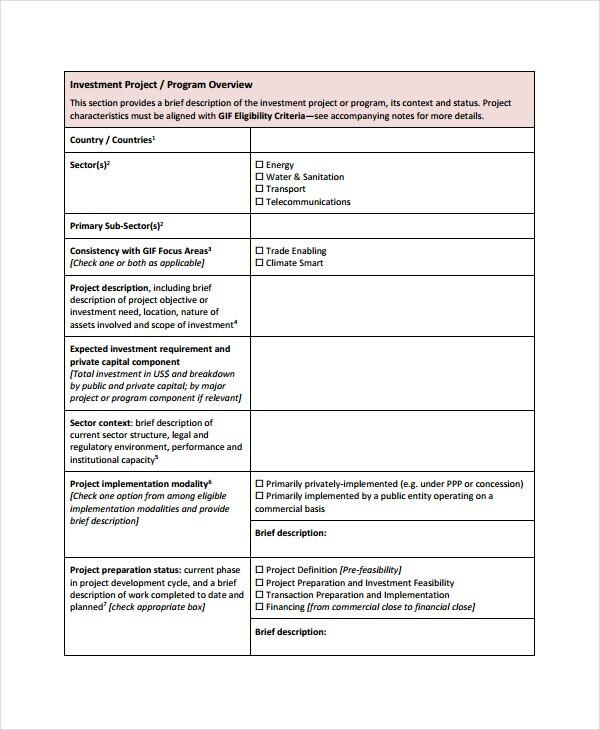 You may also see Project Charter Templates. 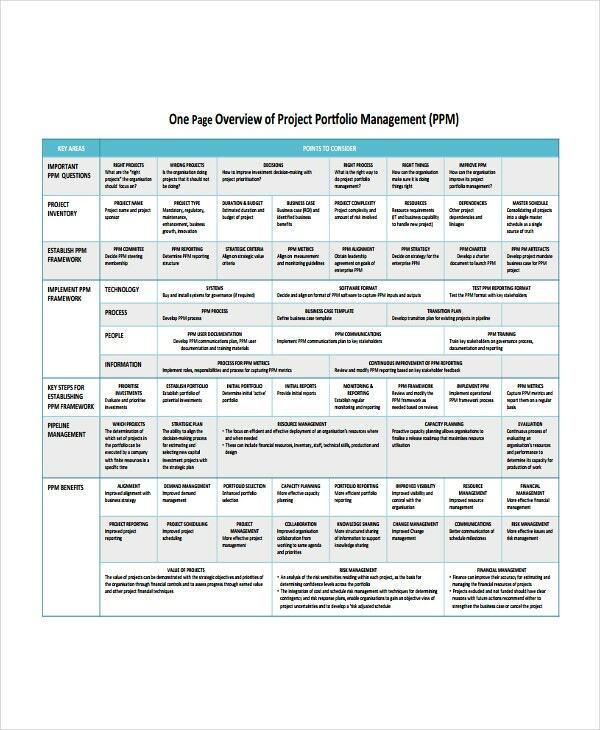 The Project Management Overview Template summarizes the key elements including cost, time and resources. It may have provisions for the business case, deliverables, team members, constraints, client details, scope, etc. This template is ideal for project managers. 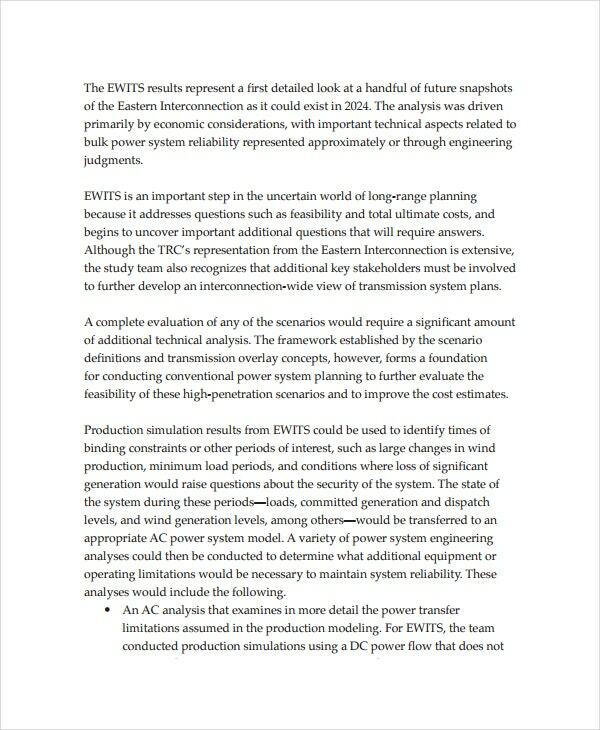 You may also see Project Evaluation Templates. The Project Plan Overview Template provides a crystal clear overview of the project. It includes details relating to the issue, background, assessment, and real-time planning. Using this, a project leader can stay focused throughout the project. 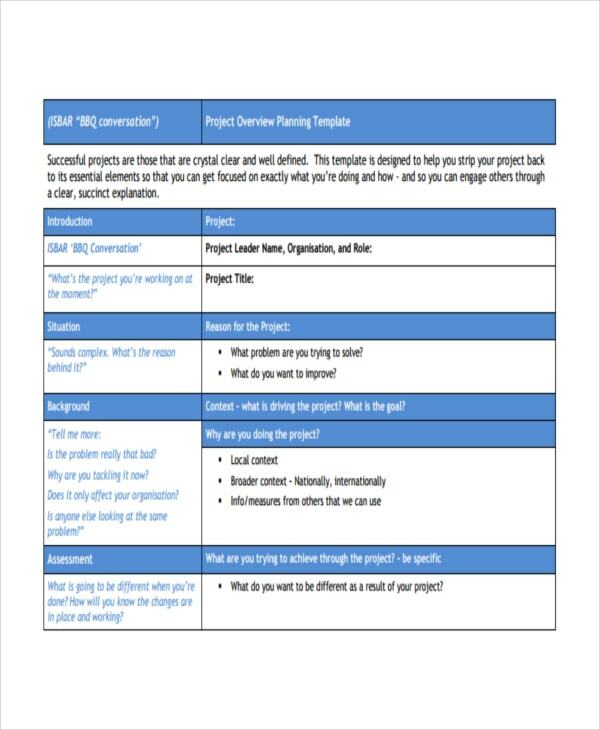 The Project Executive Overview template helps project managers in the easy execution of the project. It provides for including information regarding the problem, the solution to be employed, competitors, the management team, the funding, the fund distribution, etc. The One Page Project Overview template is a spreadsheet that lists the points to be considered under each key area involved. This tool kindles the interest and involvement of all the team members. 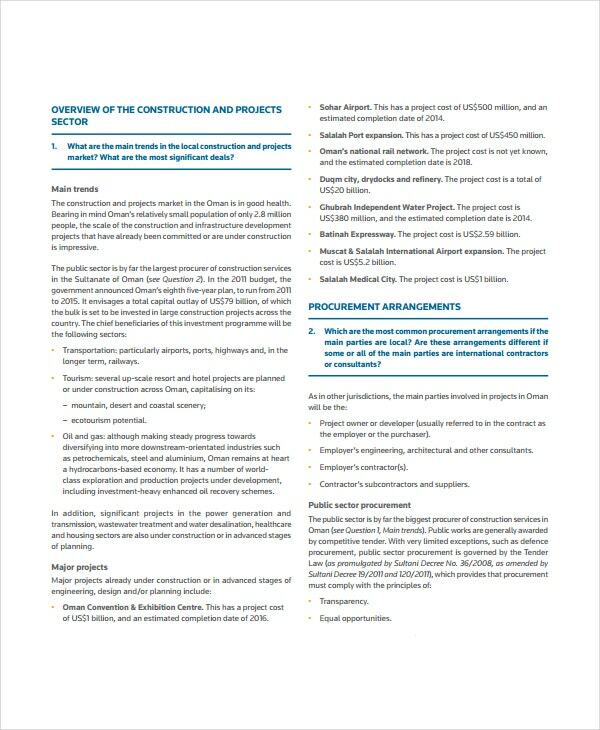 Including features like procurement arrangements, finance, transaction structures, security and contractual protections, contractual issues, excluding liability, material variations, material delays, caps on liability, force majeure, etc, this template is useful for construction project managers. > What are Advantages of Using a Project Overview Template? A complete picture of the project will be available for the team manager and his teammates. This helps in simplifying the complex project and gets everyone to be result-driven. The well-structured project picture aids in better decision making. 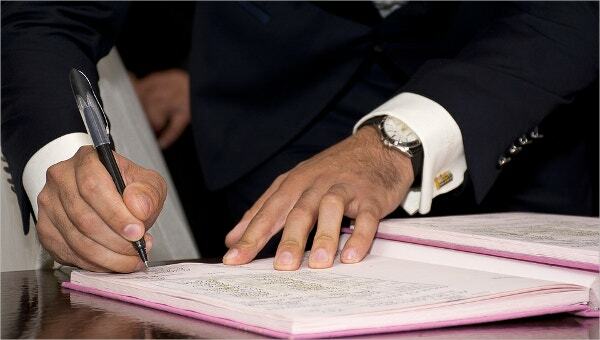 Both the workers and the approvers are confident of what is being done and what result it will bring. It wards off distractions and enables each one to stay focused on the project. Having an overview promoter eliminates miscommunications, and thus leads to the successful accomplishment of the project. > How to Use a Project Overview Template? 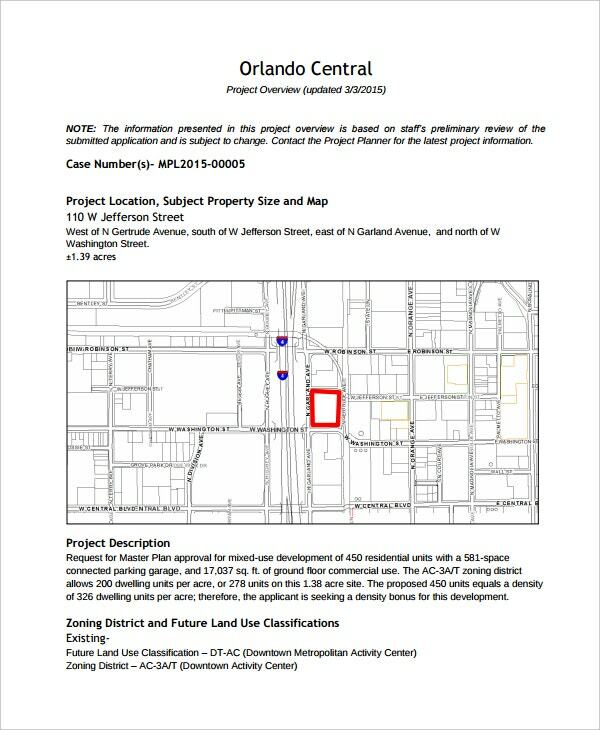 Step 1: Carryout some background assessment of previously completed projects. This will equip you with enough info on the requirements, human resources, cost estimate, the procedure, the end-result, and much more. Step 2: Now that you have gathered the required knowledge on what all will go into the project, and what all will come out as a result, put them together in their respective spaces in the project overview template. Have a long look at it along with your team members, discuss the other areas (if any) that must be included, and finally get to work. > How Should an Ideal Project Overview Template Look Like? 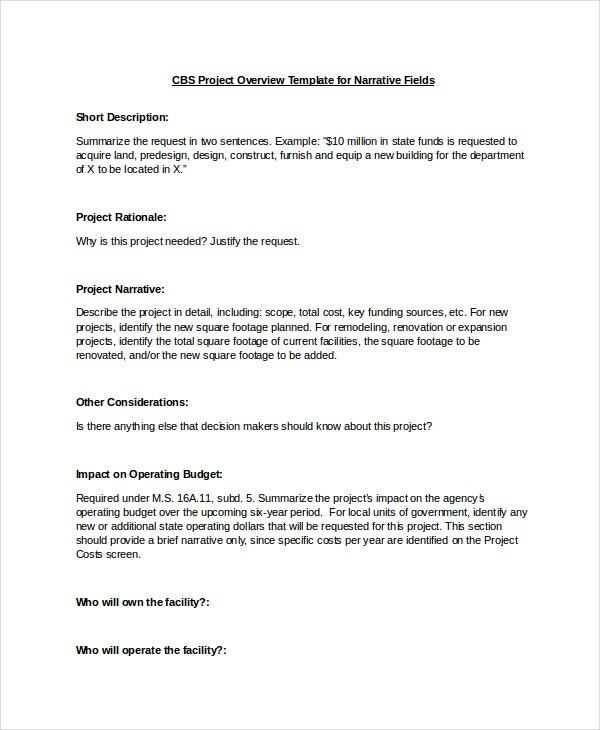 1.A good Project Overview template should be well organized. It should put together all the pieces of the project in a tidy format. -the ultimate aim of the project. -the timing goals of each sequence of the project. -the procedures that will be employed in order to generate the expected results. -the head of the project. -the human resource allocation for each of the procedure involved. -the fund allocation for each step of the project. -the limitations that will be faced regarding the results, the criteria employed, the deadlines set, etc. A project overview template provides you a clear picture of the entire project and hence, it prepares you and your teammates to handle it efficiently. It imparts you with confidence, concentration, and resource-management skills required for managing the project expertly. Further, when you have the project list in hand, your precious time gets saved.